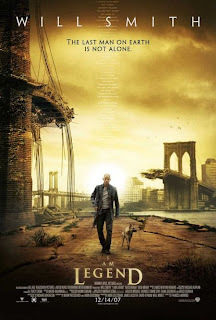 Home » Films » New trailer (with more action) for I am Legend now online. New trailer (with more action) for I am Legend now online. A few months back, a teaser trailer for I am Legend was released. Nothing too much, just a bit to give us a taste. Now the regular trailer is online with a little more umph. Take a look at the new trailer (trailer 2). Here is the international trailer.